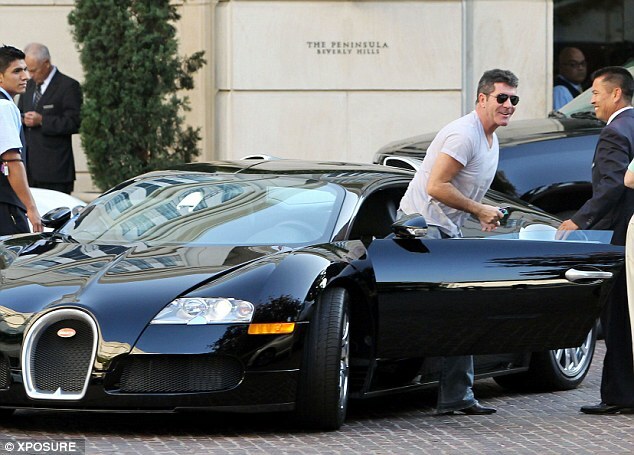 He only bought it because a friend told him to, so it comes as no surprise to learn that Simon Cowell has opted to sell his black Bugatti sports-car. The TV and music mogul bought the luxury vehicle for £1 million in 2010 after it ‘beckoned him’ from its vantage point in a Beverly Hills showroom. 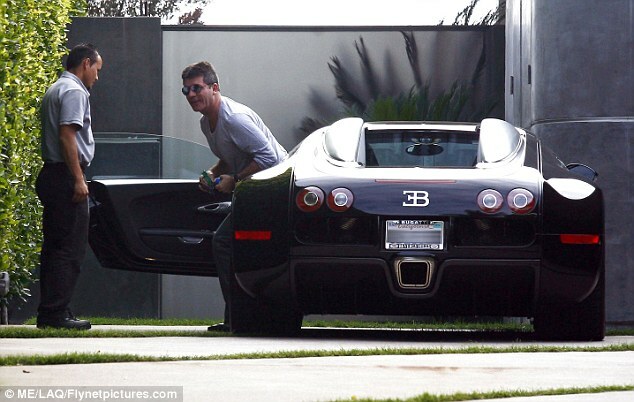 Reaching speeds of 260 miles an hour and with an excess of 1000 horsepower, the Bugatti Veyron is custom made for speed lovers – but has barely left Cowell’s garage during his four-year ownership, with the 54-year-old climbing behind the wheel on two separate occasions around the winding canyon roads that surround Los Angeles. The car will be sold via car auction specialist Barrett Jackson in Scottsdale, Arizona – but Cowell will be forced to suffer an inevitable loss on the car her lavished so much money on, with estimates ranging between £600,000 and £800,000. 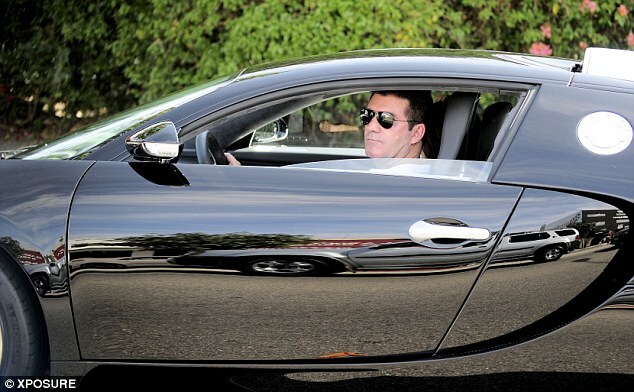 Cowell – currently holidaying with pregnant lover Lauren Silverman in the Caribbean – was last spotted driving the Bugatti last November, when it purred to a stop outside the Peninsula Hotel in downtown Beverly Hills. Never one to hold back when something takes his fancy, Cowell has boasted about other impulse purchases in the past. The mogul will welcome his first child with New York based socialite Ms. Silverman in February. This entry was posted in E-NEWS. 25 Reasons Why You Should Smoke Weed?? ?